This is officially my last SAF post. I like twine… Sometimes. I like the texture and dimension it adds, but it is a little rustic for my taste for the most part. I do, however, like twine bows all the time. I think they are super cute… Especially when there are balloons involved. 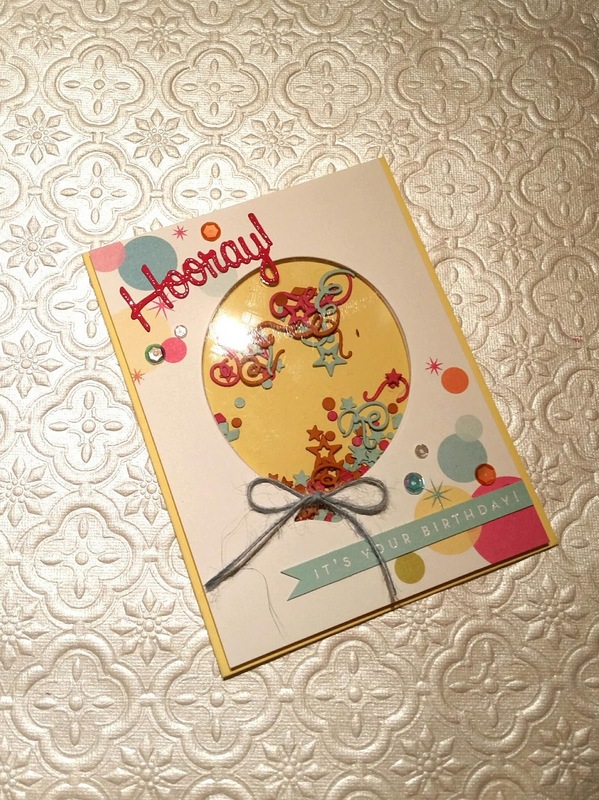 I hadn’t had a chance to use my balloon shaker dies yet, so I busted them out and made a cute little shaker card using some patterned paper from the Shakers and Sprinkles kit. 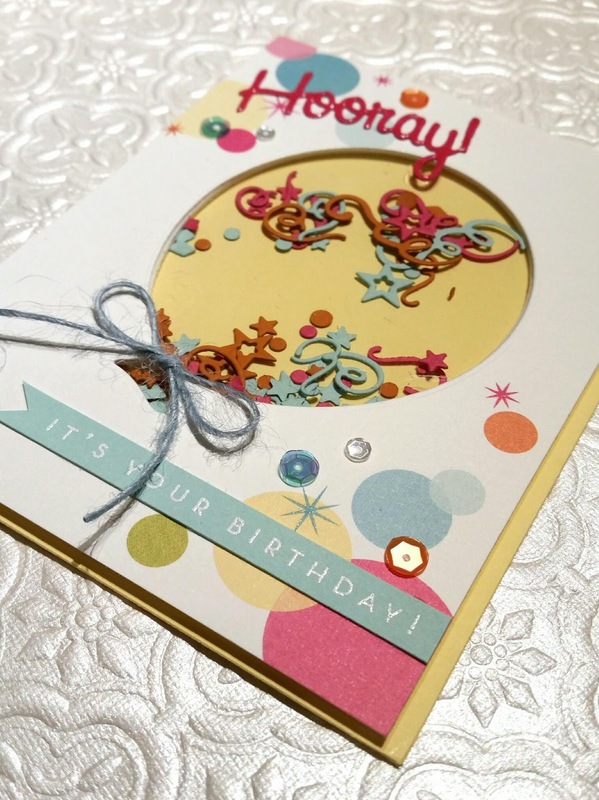 Some Glossy Accents and sequins added a little sparkle. I apologize for the poor lighting in the photos… 10 at night isn’t the best for photography. I love everything about this! The colors, the paper! Great job! Congrats on your win! I have these dies and haven't used them yet. Your card is inspiration for me to pull them out. Love the card . The colors are beautiful. Congratulations on your win! Thanks, Lainey! So nice to hear! I'm excited about that win… I always want everything in September! 🙂 thanks for taking the time to comment!